Gone are the days where keyboards were merely a digital version of the piano, imperfectly replicating the analog sound with tiny, electronic mimicry. These days, keyboards are a more or less ubiquitous fixture to all spheres that produce or play music. The Korg KRONOS (with or without the X) is the only music workstation that can do it all. It is the only game in town. We are rarely that absolute in our recommendations, but in this case, the KRONOS is the straight up winner. Whether it is at a live arena concert, a professional recording studio, or a humble church band, keyboard workstations are now the new norm. 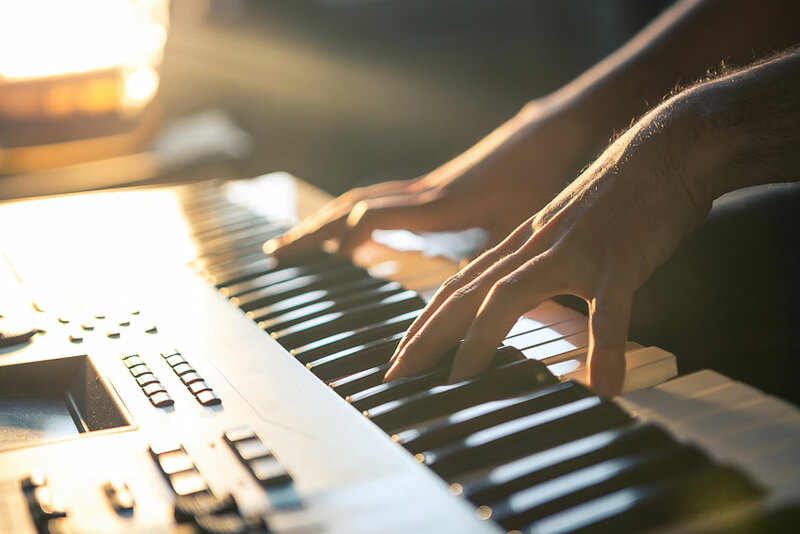 Keep in mind, there are distinct differences between a standard keyboard, workstation, or arranger—though the former is used exclusively for specialized scenarios, while the latter are often interchangeable depending on the specifics of your needs. The best keyboard workstation provides not only an amazing playing and listening experience but can be used in the creation of music from almost any genre—including emerging and electronic genres. When you see or hear Skrillex playing one of his new Dub Step songs live at the Grammy’s, chances are a heavy amount of musical lifting is being done by his computer and workstation combined. We conducted 10+ hours of research and testing, both identifying what to look for in a workstation as well as an exhaustive comparison between the leading models. I pored over numerous forums and user reviews to get a better understanding of the products with which I did not have actual experience. Still, I have enough experience with many products to acutely understand the differences between them which, at first, may seem subtle. I have played the piano and assorted digital correlates for over 15 years. I understand both the physical experience of playing and hearing the instrument as well as the digital process of managing, editing, and tweaking both numerous stacked voices as well as arranging compositions. I have been classically trained and have supplemented my formal education with a hands-on education gleaned from actually using the product type in a real-world setting. This is either the most important factor when choosing a workstation or just another feature to consider. If you play the instrument as much or more than you use it to compose, this quality will be one of your top priorities. Many musical composers utilize the impressive breadth of workstations without necessarily mastering the instrument itself. Those who play the instrument at a high level often have a high standard for how the mechanical action function. 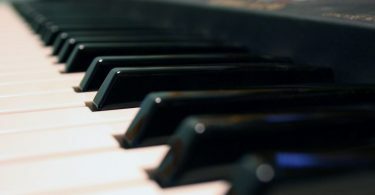 Pianists generally do not like to play keyboards whose keys are unbalanced and make a great deal of noise when struck. A lesser consideration, though situationally relevant, is the number of keys. The standard piano uses 88 keys, though numerous smaller keyboards may only have 76 or 61. This consideration hinges on your budget and need. Keyboards with more keys generally tend to be more expensive. Unless you are playing classic concertos or other complex compositions, and need speed and fluidity on a given track, the full range of octaves is probably unnecessary. These are distinct but complementary considerations. They are also the most common form of external hardware that you will utilize with your workstation—except perhaps a computer. The ROMs, or read only memory, basically allows you to switch out the different sound cards, providing a broader and modular range of voices with which to compose or play. RAM, or random access memory, is essentially the amount of memory you have onboard to sample or record. Both of these are primary features to consider if you intend to utilize the workstation for compositional purposes. If you intend to focus heavier on actually playing the instrument as opposed to recording, ROM will take precedence. Regardless of your purpose, this feature will determine everything that follows. Similar to RAM and ROM, the quality of the synthesis features is dependent on whether you intend to use the workstation for general playing purposes or to compose full-length, multi-voice tracks. For those who seek a superior performance instrument, a simple playback synthesis will provide the clearest, most true voice reproduction. For composition, an analog modeling synthesis is required. Many people will seek to do both, and in this case, you will want a higher end workstation that comes with multiple syntheses under the hood to accommodate shifting needs. These two elements determine the fundamental sound quality. 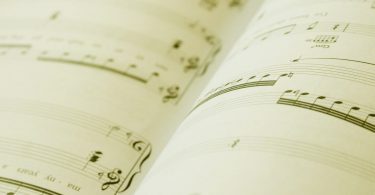 It may seem counterintuitive, but this is often not important for composers. Most professional composers will utilize external hardware to fulfill this function. Namely, a computer generally serves the purpose of recording or transmitting high-quality samples. If you are strapped for cash or do not yet compose at the professional level, this factor can become increasingly important. 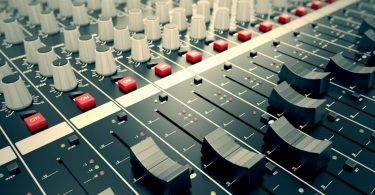 For instance, a small band that is trying to record a demo album in a small, amateur studio will either want a workstation that provides excellent sampling rate and bit depth or require the studio has one in-house. Functionally, this is the knobs, slides, buttons, and other physical interfaces that allow the user to sample, change voices, or even edit the sounds directly. This generally falls under the convenience category in practical situations.The reason is simple: assuming the workstation comes equipped with a full array of controllers, the user can eventually adapt the setup. Granted, some workstations are easier to manipulate than others, and the learning curve on an unintuitive workstation can be frustrating and disheartening. This is still something that can be overcome with enough effort. This is similar to the ROM/RAM feature, though it is often arguably less relevant in modern uses of a workstation. 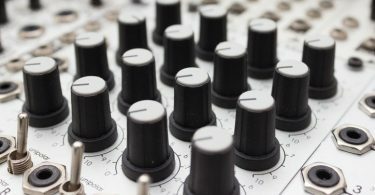 As noted prior, most professionals will back up their samples and recordings on computers. Removable media may include computers, but it is more often used to refer to external hard drives or various memory cards. The workstation doesn’t so much include these features as much as it is compatible with them. You will almost certainly want to back all of your recordings up externally, but it often does not need to be elaborate or add too much cost to serve its function. This is only vital if it is used in a professional recording studio. Another feature that has largely been supplanted by external hardware—the computer.There are still scenarios where even professionals may find the use of on-board editing tools superior to a computer. If you are recording a track and need to make only minor tweaks, it can be far easier to do so from a single unit rather than having to go back and forth between a computer and workstation. Most of this on-board editing is reserved for live recording or live performing situations. For post-production, computer editing software is usually more expansive and powerful than what even the top of the line workstations can provide. Rounding out the list of considerations, this is the greatest of the lesser concerns. Most respectable workstations will allow you to connect to either a PC or a Mac. Those using open source operating systems may find compatibility issues, depending on the make and model you choose, but for most people—including professionals—this is a given. Where this may become more important is for high-end users that may need to connect more than one computer and have them exchange information in real time, but most users will be happy with a standard connection. Runner Up - An excellent budget option for the budding professional. Let us be frank: in the current workstation marketplace, there is no competition. That is not to suggest there is only a single product worth its expense, but if you are looking for a music workstation that can do it all, there is really only one game in town. The Korg KRONOS takes our top pick as the best music workstation for a couple reasons. Since its release, we are not the only ones who have been impressed with its expansive list of features that allow it to accomplish most any demand a producer may have. The KRONOS provides one of the best synthesis processors on the market. A big part of this is due to the fact the KRONOS utilizes multiple syntheses—a trend that had recently fallen out of favor with newer models. Most of the other products on this list provide a single strong synthesis—though some do provide multiples, they usually shine brighter in a single category. The KRONOS comes standard equipped with 8 different synthesizers. That is pretty much unheard of in this industry. Its SGX-2 Grand Piano sound engine not only provides the quality users have come to expect from the SGX-1, but expanded upon it by providing the coveted Berlin Grand and Japanese Grand voices with perfect clarity. Furthermore, the professional quality touch sensitivity remains stellar with little ancillary noise and impressive response. One of the more impressive features, though a secondary consideration, is the touch display. The KRONOS’ display is bright and color coded, so that you can immediately distinguish different settings and menus at a glance. The true magic of the display comes with its drag and drop quality whereby you can functionally control it much like you would any other touchscreen or mouse. When it comes to making quick changes on the fly—like for a live performance—this feature can be a life saver. The display also provides a digital QWERTY keyboard, but you can even connect an external USB keyboard for added utility. KRONOS is fully capable of interfacing with a MAC or PC and can run editing or producing software in real time, so you do not have to run back and forth between devices when mixing or producing a track. Depending on your level of expertise, you may be able to forego the computer connection altogether except for the final mastering, because the KRONOS provides a wide array of on-board controllers—most of which are fully customizable. If you like, the Touch View display allows you to edit the tracks and voices without ever having to lay a finger on a controller. The sheer ability to manipulate the tracks or voices is compounded with the freedom to do so in your preferred format. It is truly an embarrassment of riches. Were it not for the overwhelming bevy of features that the KRONOS provides—many of which are expanded options or insights into the philosophy of design and user interface, the MOXF would be neck-and-neck with the KRONOS. In fact, after the KRONOS, there is a bit of a drop, and many of the other competitors—including other models from the same maker, Korg—all compete with each other exceptionally well. Most consumers identify a single quality of the other workstations that are more important to them personally or to their specific needs as the reason for preference. One thing that keeps all other products competitive is price, but the MOXF has taken all of the advances of the Motif series and incorporated them in a single, superior product. Aside from the absurd number of sounds and effects provided by the Motif, this Yamaha also provides one of the better user interfaces. Keep in mind, at this level of the market, it is often the little things that truly separate a great synthesizer from the best synth workstation. With a fully integrated Flash touch screen, you have all of the MOXF’s control at your fingertips. Priced lower than either the KRONOS and the other Yamaha flagship, the Motif XF, this is an excellent “budget” option for the budding professional. The only issues of note are that the keys do not sense after touch and the only outputs are in stereo. The pitch wheel can be a bit sluggish, but that can be edited externally if need be. The first Roland that made it into consideration is not their newest model, but it is arguably more expansive than the other option on this list, the Juno. 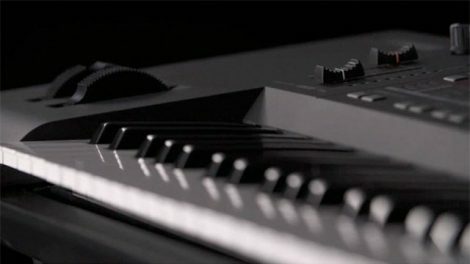 In fairness, one of the biggest draws of the Roland FA-08 is that it is a full-sized keyboard with excellent features for a much lower price than many of its competitors. That alone places it in a unique bracket. All of this cost cutting does come with a price. The touch screen and controllers will leave a lot of the more experienced composers wanting. The screen that it does have comes in at a measly 5 inches. Other issues that experienced composers will immediately note is that the Roland has limited input/output options and real-time mixing is incredibly limited. This is a keyboard best suited for live performances where the tracks and voices have already been pre-recorded and pre-mixed. But for that purpose, this is an excellent option that provides most of the necessities you will need at a fraction of the cost. 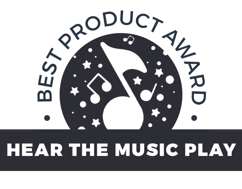 Many people praise the PC3 series for its excellent tone quality, though it should be noted that you may be able to pick up the velocity layers—especially at the bass notes. Essentially, this means that the sample will not necessarily sound as organic as many professionals would hope. This is another keyboard that may be better suited for the musician on the go. It is considerably smaller and lighter than some of the other, full-sized keyboards on the list. The PC3 combines the maker’s Artis and PC3K to provide a compact keyboard that can still produce top of line results. This does not necessarily apply to all models in the PC# line as the A Series and the K Series are notably more feature filled than the LE series. The KROME may be likened to the mid-level model of the KRONOS, but that is not at all accurate. One of the defining qualities that sets the KRONOS above and beyond the rest of the competition is its 8 different syntheses. The KROME, on the other hand uses PCM samples to exclusivity. This means you will not be able run analog modeling which will decrease the KROME’s capability when mixing multiple tracks. Korg still provides incredible performance from its keypad and is able to do an astounding amount with the samples offered, but there are better workstations if you intend to layer tracks and voices on top of one another. There will be an upper limit to the realism in the sound of the voice. Still, for “player’s piano,” Korg does not disappoint. This is the “big daddy” to our Runner Up workstation, and in all honesty, it does provide more features than its “little brother.” The Montage8 does have one thing going against it: it is not the KRONOS. That may seem acerbic, but for a full-sized workstation at a top-end price, there really is not much reason to go with this model over the KRONOS—though it is still technically cheaper. However, the Montage8 is based on a 5-year-old model keyboard (Motif XF) that has stood up exceptionally well to the test of time—especially considering that the market for workstation keyboards is incredibly competitive. This is one of the older Korg models and brings up the rear of the list. Make no mistake, this is still an amazing workstation, but it has recently been outpaced by its newer models within the Korg catalog as well as some of the newer competitors. Still, you will find many of the same features and functionality with the KROSS that you will find with the other Korg models—if not at such a robust offering. If you are just starting out, are looking for a secondary unit, or simply do not have the budget to purchase the top-end products, the KROSS is an excellent option for you. Rounding out our list, the Yamaha seems to be gobbling up the low-end market. That should not be taken as a reflection of the keyboard’s quality. Rather, it should be seen as a testament to Yamaha’s ability to get the most out of less to provide those looking to enter the workstation market a truly respectable piece of equipment. One of the defining qualities of the MX is that it more or less ports the sounds of the Motif XS—one of the features that keeps Yamaha customers happy even when it does not necessarily provide quite as many bells or whistles as some of its competitors. Products: Pro Keyboards | Kurzweil | Kurzweil, kurzweil.com/products/. 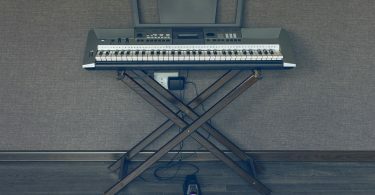 “3 Best Music Keyboard Workstation.” KeytarHQ: Music Gear Reviews, www.keytarhq.com/3-best-music-keyboard-workstation.html. “Keyboard Workstation Buying Guide.” InSync, 17 Apr. 2017, www.sweetwater.com/insync/keyboard-workstation-buying-guide/. “KORG (USA).” KORG Global, www.korg.com/us/. Music & Arts. “Keyboard Buyers Guide.” The Vault at Music & Arts, 31 Aug. 2016, thevault.musicarts.com/keyboard-buyers-guide/. Nasla, Alex. “KORG KRONOS Workstation Keyboard: The Gear Gods Review.” GearGods, 9 Oct. 2015, geargods.net/review/korg-kronos-workstation-keyboard-the-gear-gods-review/. Elisabeth. “New Korg Kronos Workstation “The Most Powerful Synthesizer On The Planet”.” Synthtopia, 13 Nov. 2014, www.synthtopia.com/content/2014/11/12/new-korg-kronos-workstation-the-most-powerful-synthesizer-on-the-planet/. Author. “News | Choosing the Right Keyboard – Workstations vs. Arrangers | KORG (India).” KORG Global, www.korg.com/in/news/2014/0623/. Roland Corporation. “Synthesizers – Performance/Workstation.” Roland, www.roland.com/us/categories/synthesizers/performance_workstation/. “Tips on Buying a MIDI Keyboard Some Key Issues (Ouch!) for first time Buyers.” TweakHeadz.com, tweakheadz.com/tips-on-buying-a-keyboard/.